The Kerala Women’s Commission (KWC) will conduct a detailed study about the problems facing Indian women in the Gulf, especially the low-income earning domestic workers, as part of a long-term plan to introduce a contributory pension scheme for them, a member of the Commission has said. Speaking to the media, Dr Prameela Devi J, Member of KWC, said, a comprehensive study is among various strategies planned to improve the welfare of South Indian woman in the UAE and other Gulf nations, especially those in the lower income brackets, who face a bleak future once they return home after rendering their services in the Gulf for many years. In cooperation with the Non-Resident Keralites Association (Norka), a Kerala Government entity created for the welfare of overseas Keralites, KWC will commission a detailed study for which steps have already been taken. “I am here as part of a mission to study the problems facing Keralite woman in the UAE, especially the lower income group, who often returns home empty handed. 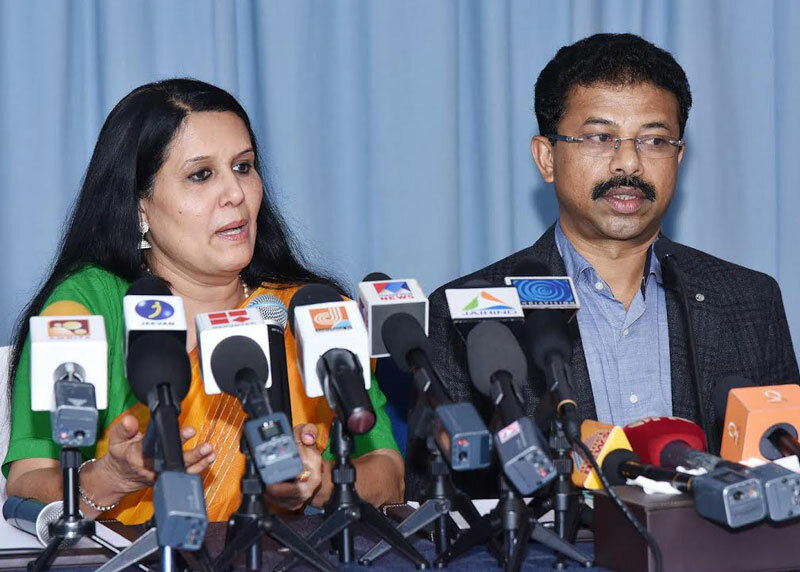 Our plan is to start a contributory pension scheme for them after studying an ongoing contributory pension scheme for overseas Keralites,” said Prameela Devi. While there are many Indian women entrepreneurs outside the state, especially among Non-Resident Indians, the plan is to encourage more women NRI entrepreneurs, she added. Talking about the various issues haunting Keralite families, especially the NRK population, she said rampant misuse of mobile phones, the Internet and social media has become a major challenge in which many young woman, married and unmarried, get trapped. While alcoholism is a major villain in the break-up of many families and the main reason for domestic violence, suicides and other family problems, the use of new electronic and communication gadgets is causing new tension in the Kerala and Non-Resident Kerala families. “The excessive use of internet and mobile phones are spoiling many families in Kerala. While these gadgets are good means of communication, many ordinary women and girls, who do not have the high technical awareness land in trouble," she said. The Vanitha Commission has been running a campaign in 750 schools in Kerala to address problems facing young children and students. Kerala Women’s Commission is a statutory body under the Kerala Government for improving the status of women and to enquire into unfair practices against women. The commission works to protect woman from domestic violence, harassment at work place or other kinds of atrocities against them. It receives thousands of complaints from women who are harassed by husbands, for dowry, etc. The commission conducts investigation and recommends corrective steps. This is the first time that KWC is taking up the issues facing overseas Keralite women, especially in the Gulf.